Vivitek Corporation has introduced the D860 a powerful yet budget-friendly projector designed for K-12 classrooms and higher education. Vivitek Corporation, a leading manufacturer of environmentally innovative visual display and presentation products introduces the D860 a powerful yet budget-friendly projector designed for K-12 classrooms and higher education. The D860 high-performance digital projector offers exceptional digital images with full color dissemination having long lamp life that reduces the overall cost of operations. This DLP projector has 2800 ANSI Lumens that provides enough vibrancy, making it great to use for any venues or under any lighting conditions. The projector features native SVGA resolution, multiple connectivity options. The Native SVGA (800 x 600) sharpens the images and offers amazing details for better viewing of the audience. It also features 2500:1 contrast ratio that offers amazing color contrast for a brilliant burst of colors during projections. The D860 VGA/D-sub and Composite ports can also be used to connect to other devices, maximizing its capabilities. 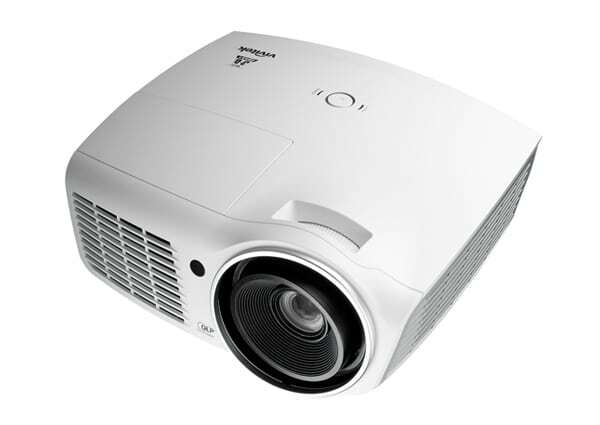 Add 3D-ready capabilities, and the D860 is the ideal projector for just about any multimedia/video application. Functionality, performance and value: all found in the Vivitek D860. The D860 is available at Vivitek’s authorized dealers and distributors in India. The projector carries two years warranty.